Want to be sure that every Tom, Lachlan and Harry aren’t wearing the same t-shirt as your fashion-savvy toddler? Check out Exhibit Kids. 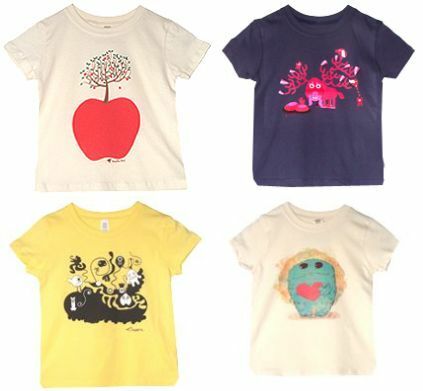 Exhibit Kids features limited edition toddler t-shirts designed by emerging artists from around the world. 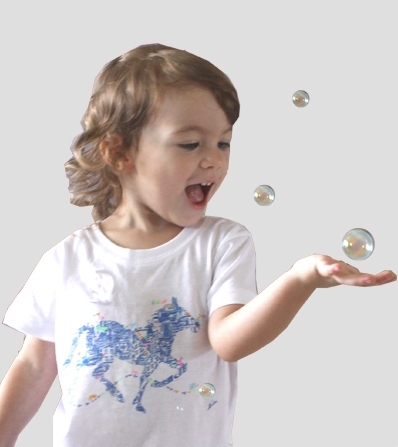 Entrepreneur and mum, Darcie Picard, created Exhibit Kids after noticing a lack of artistic, affordable and unique toddler tees. From the numerous submissions received for the launch, Picard selected designs from six artists representing the US, Malaysia, Scotland, Germany, Russia and Indonesia. Each t-shirt design is available for a short time, only one to two months, and new artists and designs are introduced every few weeks – basically, if you like a design, grab it while you can! Personally, I’m liking the sweet Apple design by Malaysian artist Tang Yau Hoong and the striking Flower Deer design by Russian design duo, Zhishi. Exhibit Kids has a free membership registration – it is not necessary to join to buy a t-shirt but if you want a sneak peek at upcoming designs and to vote for the ones you love, sign up. It’s also worth noting that Picard is always on the look out for new designs so if you are the artistic type and would like to see your idea in print, check the submission guidelines – we’d love to see Australia represented in the artists’ line-up. T-shirts are available in sizes two to four and cost US$24 each. Shipping to Australia is available on request – contact Exhibit Kids directly.